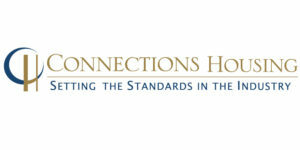 HANNOVER MESSE USA, in cooperation with Connections Housing, specially contracts the lowest room rates for your visit to the event. With a guaranteed room and free shuttle service to and from McCormick Place for all hotels within the HANNOVER MESSE Hotel Block, your best option is Connections Housing. However, don’t wait to book your room! They will fill up quick as HANNOVER MESSE USA is a large and popular event. Why Should You Book with Connections Housing? Rate assurance: HANNOVER MESSE USA has gone to great lengths to ensure that their rates are the lowest over the HANNOVER MESSE USA 2018 dates. Save time: View all participating conference hotels in one location. Easily make, change or cancel your reservations online. Contracted hotel room blocks: HANNOVER MESSE USA contracts with hotels to offer you exclusive access to the best rooms at reduced rates. Book with confidence: Our rooms are guaranteed and offer better protection from hotel relocation. Our rates are specially contracted, and we deliver as promised! Friendly booking terms: Connections Housing never requires a non-refundable pre-payment to secure your reservation(s) or change fees to adjust an existing reservation, though your hotel reserves the right to charge a deposit on or after August 15, 2018. Special benefits: Enjoy benefits offered exclusively to conference participants and help keep future housing and registration costs down by booking within the block. Free shuttles to McCormick Place: You’ll receive complimentary shuttle service to the show (with the exception of the Hyatt McCormick and those specifically indicated as “Non-Shuttle” properties). Networking opportunities: Stay at hotels with other HANNOVER MESSE USA 2018 attendees and exhibitors.